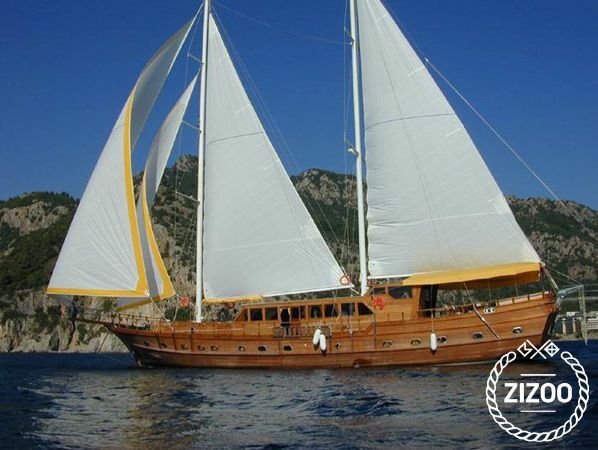 Felton is a gulet luxury yacht consisting of two master cabins and two triple cabins. Each cabin has TV, air conditioner, light system, music system, artistic craftsmanship, etc. A shower set is fixed on the yacht stairs to remove salt water when you are coming up from sea. The spacious living room within the bar gives more comfortability. Watersports inside the board include waterski, kneeboard, ringo, canoe. Other equipments are snorkeling, fishing, barbeque.